TOKYO – In a historic “all-Samurai Japan” match-up, Japan’s Under-18 National Team has a first-ever contest scheduled with their older Samurai siblings, Japan’s university National Team. The “dream” game will be staged at historic Koshien Stadium on 26 August, as Samurai Japan’s U18 squad makes final preparations to defend its No. 1 world ranking and “take on baseball’s powerhouse-nations” in the 2015 WBSC U18 Baseball World Cup, which will open 28 August in Japan. Samurai Japan also announced that Koichi Nishitani, current manager of Osaka Toin High School (2014 Koshien champions), will lead the Samurai U18 national selection (born 1997 – 1999) at the 2015 U18 world championship. 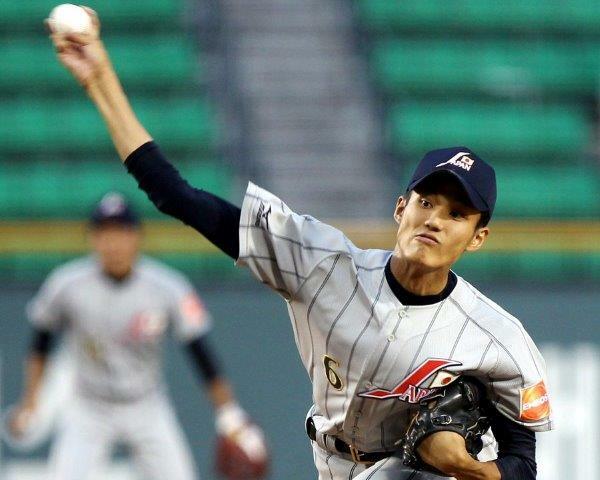 At the 2013 WBSC U18 Baseball World Cup, Japan earned the silver, falling to USA, 3-2, in the world championship finale at Taichung Intercontinental Stadium. The 2015 WBSC U18 World Cup will be staged from 28 August - 06 September, with the "Mecca of Japanese Baseball" – historic Koshien Stadium in Nishinomiya built in 1924 – serving as an iconic backdrop for the world’s best 18-year-old baseball players and future superstars. The 2015 U18 World Cup will feature six of the Top 10 nations, including world No. 1 Japan, two-time defending U18 World Champions and No. 2 USA, No. 3 Cuba, No. 4 Chinese Taipei, No. 7 Chinese Taipei and No. 8 South Korea. Top 20 nations, No. 11 Italy, No. 12 Mexico, No. 14 Australia and No. 20 Czech Republic, as well as No. 29 South Africa, will also be uniting in Japan to contend for the U18 world title. The biennial U18 world championship, baseball’s highest competition platform for this age category, has featured some of the biggest names in the sport, such as Canada’s Brett Lawrie, Japan’s Yu Darvish and Shohei Ohtani, South Korea’s Shin-soo Choo, Cuba’s Yasiel Puig and Aroldis Chapman, and USA’s Justin Upton and Buster Posey, among countless others. The most recent generation of rising stars include Cuba's Jorge Soler and Yoan Moncada, USA's Francisco Lindor, Canada's Dalton Pompey and Japan’s Shintaro Fujinami　(Photo).